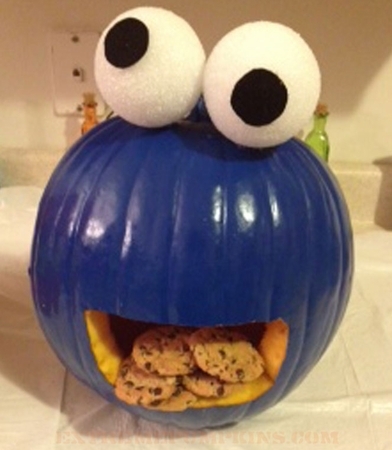 I'm not generally a fan of painted pumpkins, but I do love Cookie Monster. He is the only Sesame Street character that isn't afraid to be himself, even if he is different. Cookie Monster never questions himself in his struggle with his demons. He does his best and never beats himself up. That's why I like this Cookie Monster pumpkin.